I'm only giving you two guesses to figure out what this family really, really loves- other than each other. Because it's pretty obvious what this all-American, mountain family loves to do with their free time! We went up to Providence Canyon for this shoot, and it fit in with their props and theme perfectly! 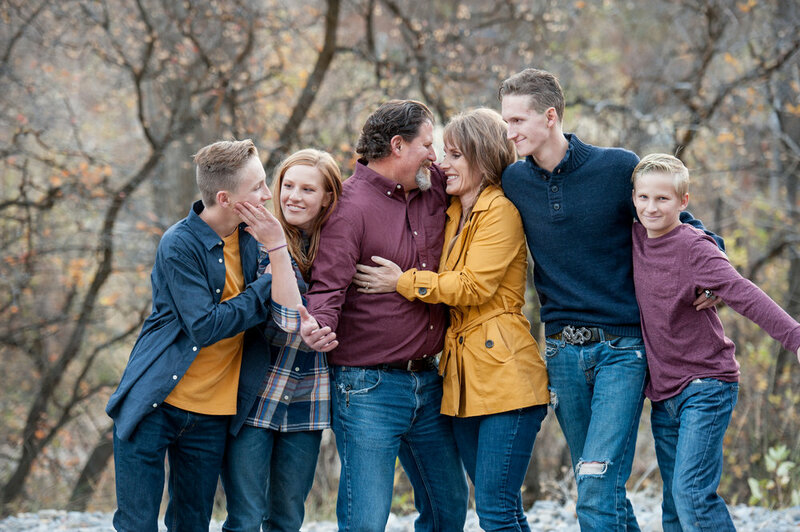 It was such a fun family session and these guys all just adore each other. (or at least they knew how to for the photoshoot haha!) They've got the oldest boy, a twin girl and boy and then their youngest boy. 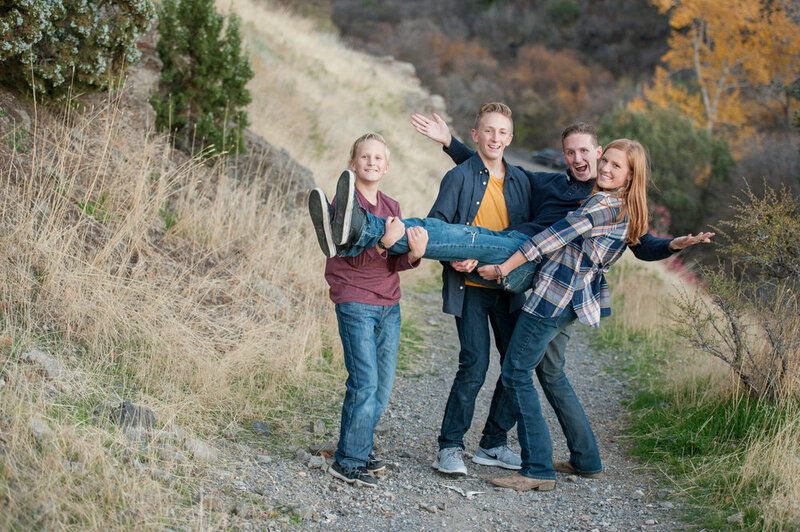 The kids all seem to get along and enjoy being around each other and making each other laugh, which makes getting real smiles and real moments easy for me! 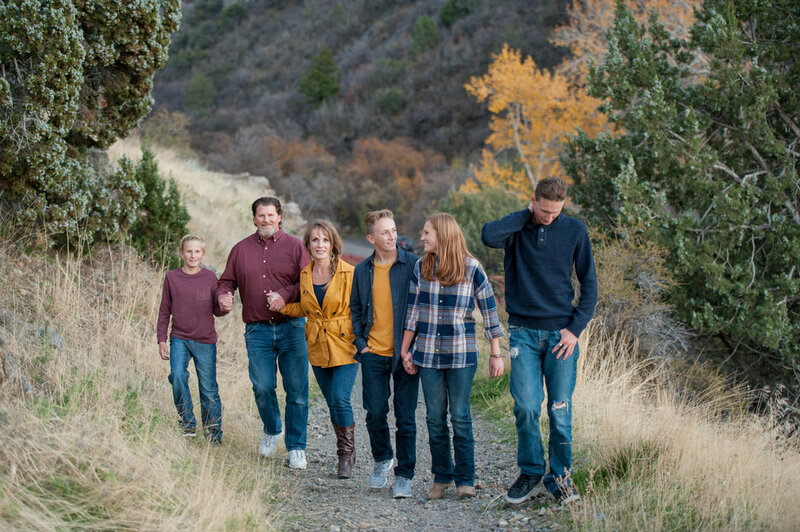 Here are some of my favorites from this cute family! I love catching tender little REAL moments like this in between the different family shots. The love of a mother and her son.